As we learnt, three things affect Exposure: ISO, Aperture and Shutter Speed. Your Challenge was to get a feel for how each of these values change according to the lighting conditions of what you are pointing your camera at. 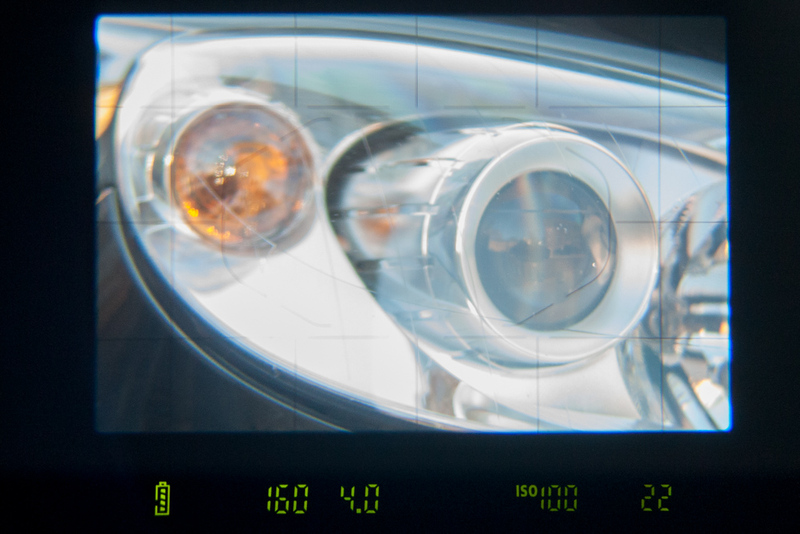 In these samples, the pictures of my car are not relevant - rather consider how bright or dark the scene is and look at the numbers from the viewfinder. Notice in the dark image, the ISO is higher, and the Shutter Speed is quite slow. ISO 400 - f/2 - 1/60th of a second. In the bright image the ISO is very low, and both the Aperture and Shutter Speed have increased. ISO 100 - f/4 - 1/160th of a second. As you would expect, the middle image is, well, somewhere in the middle. What values for ISO, Aperture and Shutter Speed did you encounter when you did this Challenge? Post your results and thoughts in the Comments below, or send me a personal message using the Contact page. We will explore ISO, Aperture and Shutter Speed in more detail in the next couple of posts so tune in on Thursday for the next episode!